There are always new and interesting properties coming to the Miami area, and one of the buildings that is on everyone’s lips right now is 57 Ocean. While the construction has not started for this property yet, it promises to offer plenty for potential homeowners to love. For starters, there is the location of this building. It will be at 5775 Collins Avenue, which is going to place it mere steps from the beach. In addition, the location puts this building close to many of the other areas that you might want to visit, such as downtown Miami, Bal Harbour, and more. What Makes 57 Ocean Special? 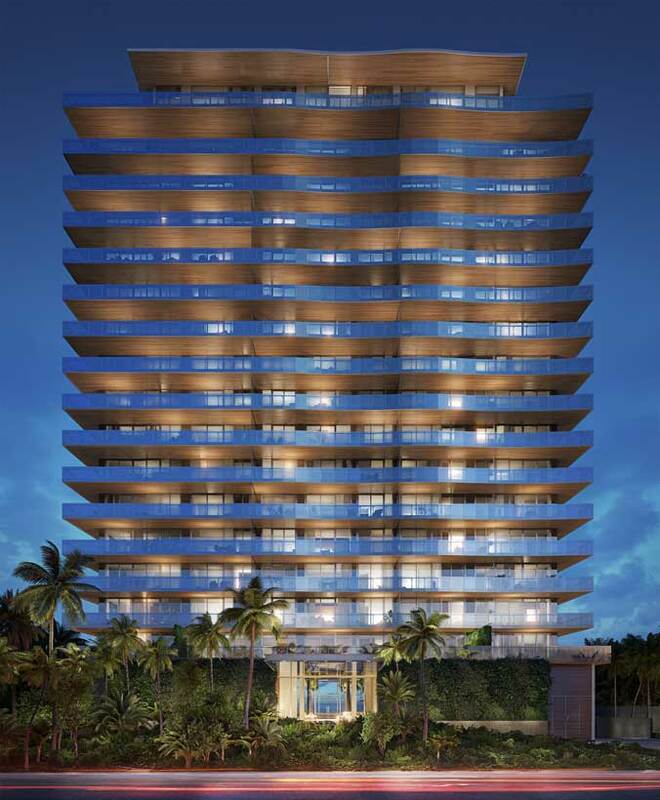 The building will feature 220 feet of ocean frontage, and it will have 81 exclusive residences across the 18 stories. Buyers who might be interested will be happy to know that there are a range of sizes and floorplans available. 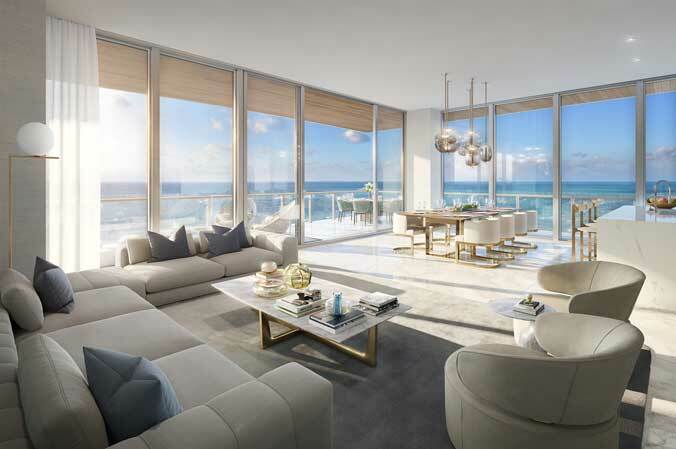 They will have two, three, and four-bedroom options at 57 Ocean. Due to the proximity of the ocean, you can be sure that you will have some unbelievable views of the ocean no matter which of the units you ultimately choose. The building will feature a private spa, which will provide therapies, massages, and more. there is a club room that has a chef’s kitchen, as well as an outdoor summer kitchen. It will include an outdoor bar and lounge, a library, two infinity swimming pools, a sunset deck, and a fitness center so you can stay in shape. The onsite children’s room is a perfect place for the kids to spend some time. While the building has a range of features that help to make it a standout, you will find that the units that are at 57 Ocean will be the true star of the show. They will have open and flowing floorplans, and they will feature floor to ceiling windows. Units will also have expansive terraces, which can become secondary living rooms in their own right. Whether you are out on the balcony enjoying the views and a cool drink on a hot day, or you are relaxing after the sun has set and looking out over the ocean with someone special, the terraces are sure to become a favorite space. The kitchens will feature state of the art appliances, beautiful cabinetry, and a solid marble waterfall island. The bedrooms are large, and the master bedroom will feature his and her bathrooms. They also have walk-in closets and will open to the terrace. 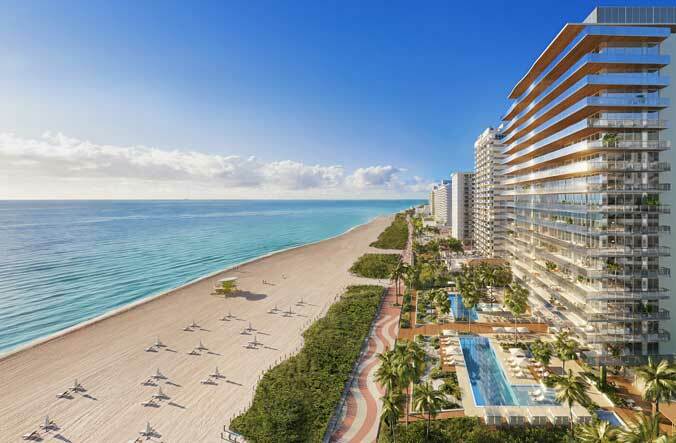 Those who have been looking to find the perfect next home in Miami, whether it is just a vacation home or a year round residence, will love 57 Ocean. It could also make for a quality investment property. There is plenty to love for everyone. With all of the features that this building provides, you can be sure that they are going to go fast, so you may want to act sooner rather than later.